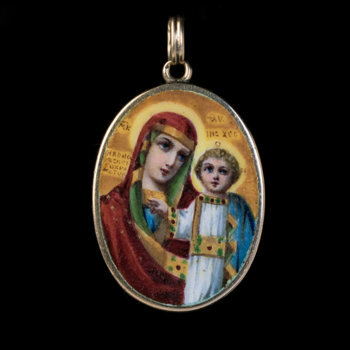 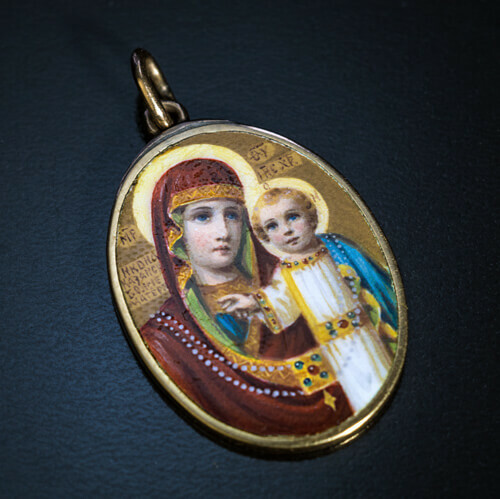 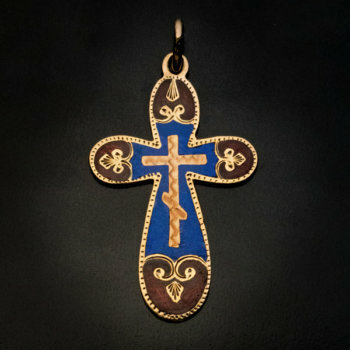 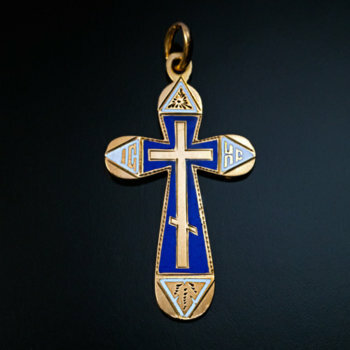 An antique miniature gold pendant superbly enameled with the most venerated Russian icon – the Mother of God of Kazan. 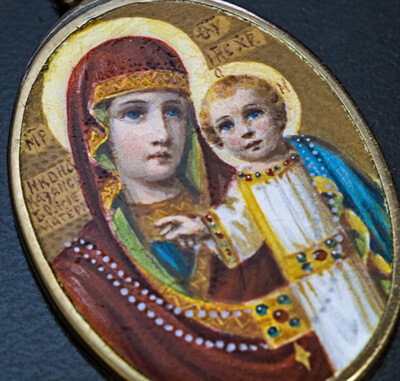 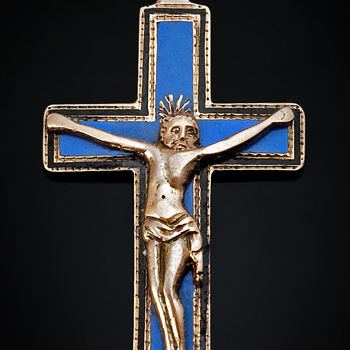 The enamel painting is exquisitely detailed and of the highest quality. 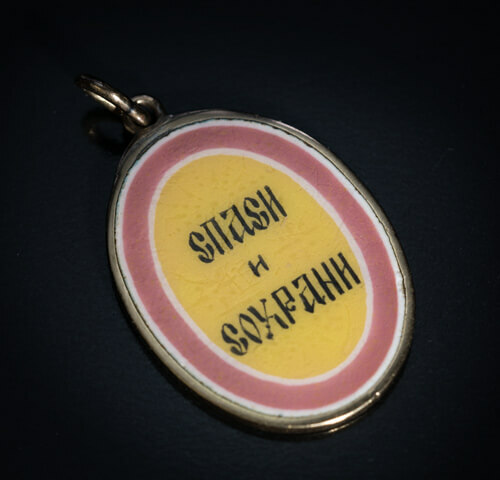 Inscription on the back in Russian reads: SAVE AND PROTECT.